Madhouse Announces Carpe Diem Release for March 15th! 2019 Carpe Diem- Bourbon barrel-aged Imperial Breakfast Stout with oats, chocolate, Kona coffee, and bourbon barrel-aged Iowa maple syrup. 13.5% ABV. Available draft and 375ml bottles. $12/bottle. Limit 6. Coffee Diesel- Collaboration with Mars Cafe. Dark sour ale with cold press coffee. 7.4% ABV. Available draft and 375ml bottles. $8/bottle. Marquee Pizza will be hosting at BrrrFest kickoff party Friday night before the BrrrFest event. A great lineup of beers will be available including Barntown Cicada Killer and Backpocket 6th Anniversary Stout. On Saturday, from 9am-2pm they will be offering their delicious breakfast pizza as well as tapping Madhouse Freedom Toast and other greatness. Check the flyer below and have a great time during BrrrFest weekend! Madhouse Releasing Freedom Toast January 24th! Madhouse brewing will be releasing their bourbon barrel aged wee heavy, Freedom Toast, on Thursday January 24th! Along with that they will have 3 other beers available, 2 on draft and one available in bottles as well. Check it out below! Bourbon barrel-aged Wee-Heavy with the addition of Iowa maple syrup, cinnamon, and vanilla. 13.5% ABV. Available draft and 375ml bottles. $12/bottle. Freedom Toast with the addition of blueberries. Available on draft at event only. Wee-Heavy variant made with maple syrup, cinnamon, vanilla, ginger, nutmeg, and clove. Available on draft at event only. Gin barrel-aged sour saison with juniper berries. 7.0% ABV. Available draft and 750ml bottles. $15/bottle. More on this event and release can be found on Madhouse’s Facebook page here! 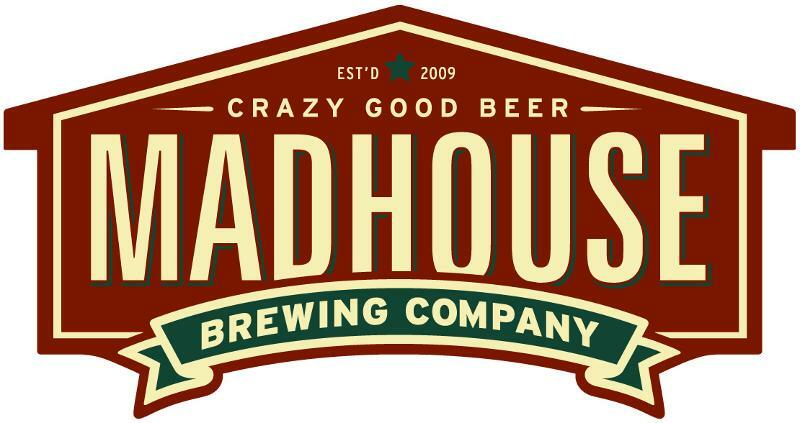 Madhouse Brewing Announces 2018 Carpe Diem Release Party for Friday March 2nd! The official release event for Carpe Diem will be held at Madhouse on Friday, March 2nd. Bottle sales will begin promptly at 4pm. Distribution will depend on what stock is remaining after the release party. As always, bring your favorite bottles for sharing! Carpe Diem is a bourbon barrel-aged Imperial Breakfast Stout made with oats, cacao nibs, Kona coffee, and Iowa maple syrup. 13.5% ABV. Winestyles Iowa River Landing Hosting Brrr Fest Blowout Sale and Madhouse Tap Takeover Jan. 26th! 25% off a large selection of Beers!! We will also have some very special beer surprises available for purchase. An obvious choice for a Drink This! post but this beer is soooo damn good it’s worth another mention. People lining up anticipating the release, constant social media mentions of the brew and the beer trader pages with the many ISO: Madhouse Carpe Diem tell me that this isn’t a hidden secret of a brew and many of you already know about its greatness. There are a few releases that I get excited about every year and this is one of them. Since Madhouse has made this beer, every year it has gotten better to the point where I would say that this year’s version is as satisfying and delicious of a beer that I can remember having. Some might say it’s too sweet, or not enough coffee, yadda yadda, to each their own, but for me, pretty damn close to perfection. I’m not sure what protocol is but I like to buy a beer and be able to try it, so if you are able to score one, my opinion is to drink it fresh; taste that delicious maple, coffee and chocolate as it mixes perfectly with the oats to make a creamy breakfast masterpiece! One of the best beers coming out of Iowa folks! Do what you need to do and make sure you get to Drink This brew! Cheers! A breakfast-themed beer release party! Miss Molly’s Jamaican Patty food truck will be on-site serving Jamaican and breakfast foods. CARPE DIEM: Bourbon barrel-aged Imperial Breakfast Stout made with oats, cocao nibs, Kona coffee, and bourbon barrel-aged Iowa maple syrup. Available in 750ml bottles. FREEDOM TOAST: Bourbon maple barrel-aged Wee-Heavy with cinnamon and vanilla. Draft only. BLACK & BLUE: Barrel-aged sour Imperial Stout with blackberries and blueberries. Available in 750ml bottles. CATAWBA-WABA: Barrel-aged sour Saison with fresh Iowa Catawba grape juice added. Draft only. The event starts at 4:00: For more information visit Madhouse’s Facebook page here and feel free to pick the Baron up a bottle!! Yes folks… this is actually happening!! This Friday, Madhouse Brewing Co. will be releasing the first three beers in our line of sour/Brett beers. They will be available in the taproom on draft and in 750ml bottles in very limited quantities. These sour beers are oak-barrel fermented with our house blend of yeast including Brettanomyces and Lactobacillus and then aged for complex flavors and a tart and dry finish. The brewers at Madhouse have been drinking and experimenting with sour beers for over 2 years now, and these beers are the result. Madhouse sour beers are uniquely American. We do not try to replicate European styles, but instead use the New World tradition of borrowing Old World techniques from countries including Belgian, Germany, and France to produce innovative new beers. Our sours are made with a unique house blend of yeast (including Brett) and lactic acid bacteria. Satori Saison- Tart and funky saison. A.M. Haze- Dry hopped with Amarillo and Mosaic. Sour Diesel- Dark sour ale. Blue Dream- Blueberry sour ale.